In addition to paying taxes, organizations are obligated to ensure they're not endangering public health. Whether by land, air or sea, if a company is distributing goods of a hazardous nature, then it's required to ensure its personnel abide by safe practices. How does this pertain to spend management? Financial investment is a critical component of a holistic regulation adherence strategy. Funds should be allocated to train employees handling certain materials, and assets must be acquired to ensure that potentially harmful products are adequately protected while in transit. Hazardous goods transportation standards are quite complex, requiring strict analysis of any and every clause within them. Skimping on any details could result in the kind of finds that cripple organizations. Handy Shipping Guide noted that the U.S. Department of Transportation's Federal Aviation Administration recently proposed a $1.3 million civil penalty against United Airlines for allegedly transgressing Hazardous Materials Regulations. The issue was brought up after United apparently failed to provide adequate information regarding the cargo aboard aircraft carrying both freight and passengers. Pilots were not notified of the materials onboard aircraft they were flying. The location of hazardous materials on flights were not made known. Information about the amount of goods, as well as identification numbers, hazard classifications and dimensions had not been delivered to the proper authorities. Many of the citations focused on a basic lack of protocol. For example, United allegedly did not retain shipping data of flights carrying hazardous materials. Of the goods themselves, some of the items cited as dangerous were metal batteries, dry ice, corrosive liquids, radioactive substances, detonating fuses, compressed oxygen, isopropanol, phosphoric acid and sodium hydroxide. No company executive has ever said "Hey, let's fail an audit," so it's best for an organization to assess its protocols and standards on a frequent basis. Forest Himmelfarb, vice president of software and services at Labelmaster, wrote an article for IndustryWeek detailing how organizations can prepare themselves for inevitable assessment from federal authorities. The best way to survey one's compliance is to conduct an internal audit. Don't approach the initiative as a "test" or "dummy audit." Notify employees that there will be tangible consequences for failing to successfully meet the standards you dictate for your organization. However, don't forget to scrutinize your company's regulations - they may not be as comprehensive as you think. In this respect, there are many changes associated with carrying out an internal audit. For instance, Himmelfarb noted that selecting a department within your business to blueprint and initiate the endeavor can be difficult. Which team is going to approach regulations with an objective eye? 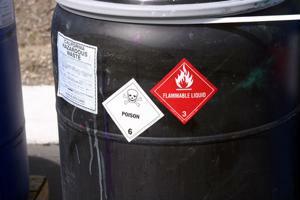 It may be necessary for you to hire an outside party, preferably one that focuses on dangerous goods transportation. After an internal audit is completed, if you weren't presented with the results you would have liked to receive, then hold yourself accountable as well as other personnel. Harshly criticizing your workforce as "incompetent" or "a liability" is only going to reduce morale. Instead, take a step back once an assessment is finished and look at the processes in place that may have indirectly contributed to the issues that arose. Maybe your personnel require information-sharing and tracking tools to get a better hold of the transportation process? Also, don't panic at the thought of being audited. If you know your systems and processes are where they should be, then there's no reason to increase the general stress level.